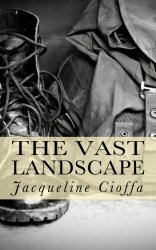 “The Vast Landscape” Giveaway is happening now on Jackie Cioffa’s Facebook author page. Click the Rafflecopter link for a chance to win a free, signed paperback copy. Because sharing is cool. Good luck!